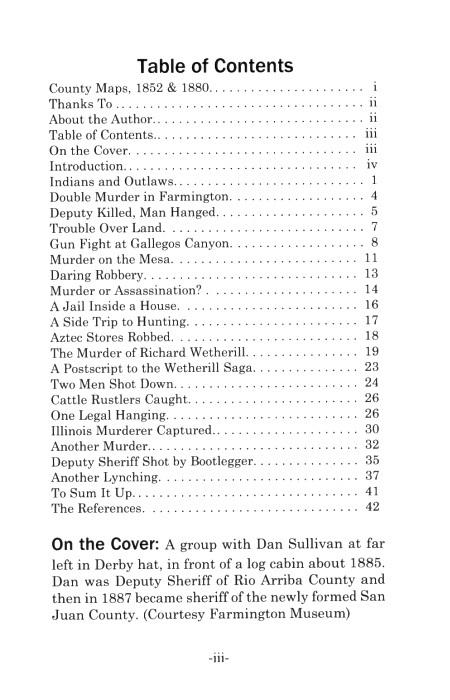 Property conflicts, religious differences, racial struggles, cattle and sheep disputes, robberies and hangings. Crimes of the County. The title pretty much says it all. This book has been in the works for over 10 years. There always seemed to be something else to check out and another lead to follow. Along the way we added some trivia and some sidelights. Sometimes we found various spelling for names with no way to know the correct one - we apologize for any errors. So now it is down in black and white and we are still following leads and trying to get just one more story verified. Will keep on searching but what is printed here is the story so far. 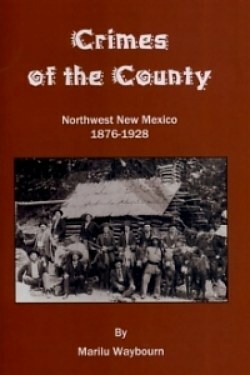 New Mexico Territory was formed in 1850 and this area was part of Taos County. 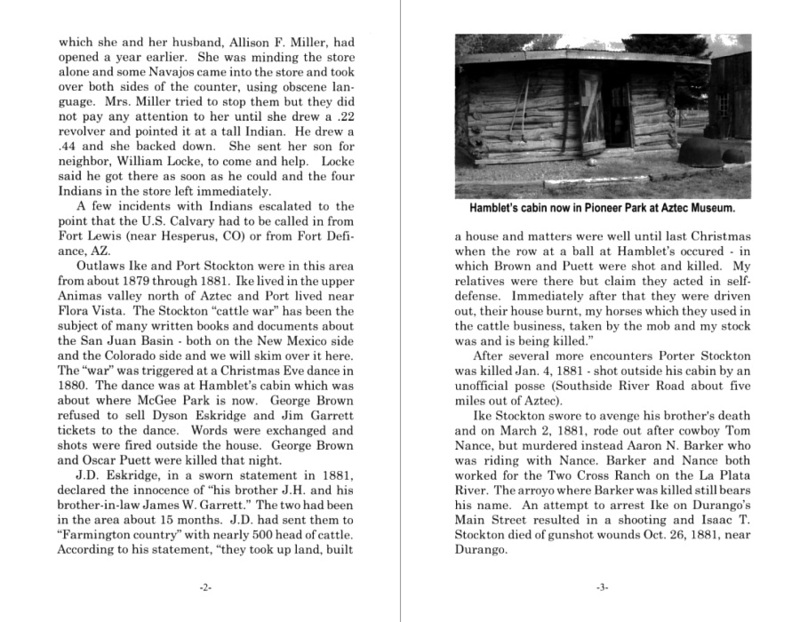 Taos County went all across the northern boundaries of the territory (see page i). The eastern part of what is now San Juan County was part of the Jicarilla Apache reservation but remained pretty much empty until July 18, 1876, when President Ulysses S. Grant signed an Executive Order returning the land to public domain and opening it for homesteading. County lines were changed in 1881 and northwest New Mexico was included in Rio Arriba County. That status continued until San Juan County was establish in 1887. The crimes changed counties and so did the situation of the region.